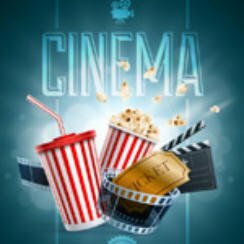 Popcorn Cinema Show takes a look at the Movie Releases This Week (June 10 2016) for the UK, US, Australia and New Zealand at the cinema, plus all the weeks film news. The main releases being The Conjuring 2: The Enfield Poltergeist, Warcraft in the US and The Boss in the UK. So Teenage Mutant Ninja Turtles goes straight in at top spot at the box office in the US, whilst in the UK Warcraft enters the chart in top spot. The Turtles took $35,3165,382 in North America and Warcraft £3,623,725 in the UK. Big screen outing of the massively popular computer game World of Warcraft. Stories centring a divorcee who is looking for love , a TV host and a women who want a better relationship with her mother, all in the run up to Mother’s Day. This is the story of a young girl who suffers from a rare digestive condition. A writer whose marriage is coming to an end takes driving lessons with a Sikh instructor who is also having marriage problems.